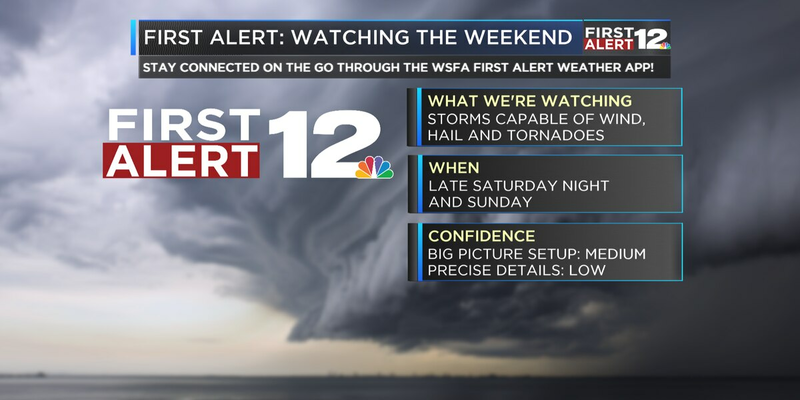 First Alert: A few strong storms overnight? Temperatures won’t warm up past the low 60s for most! 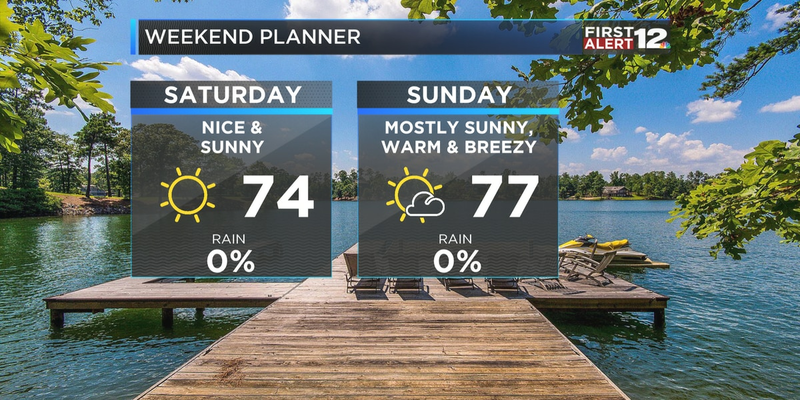 Warm and mostly dry for the first half of the weekend! 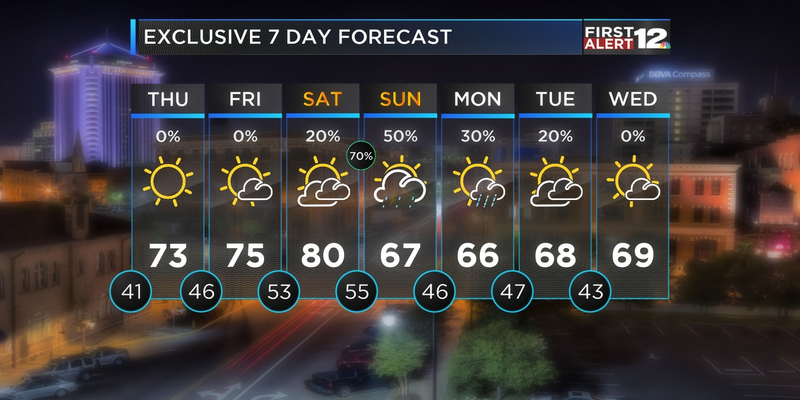 First Alert: Warming up in time for the weekend! 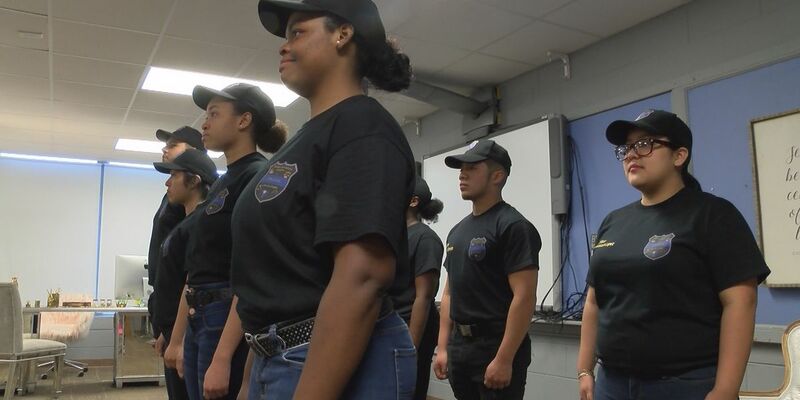 First Alert: What a week! 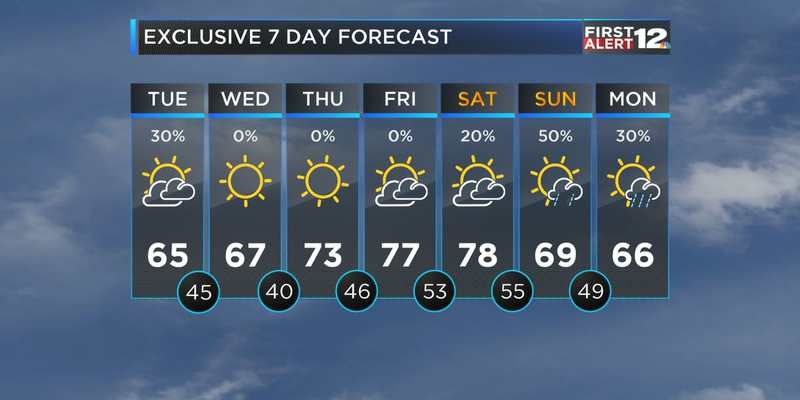 We stay mostly dry all of next week. 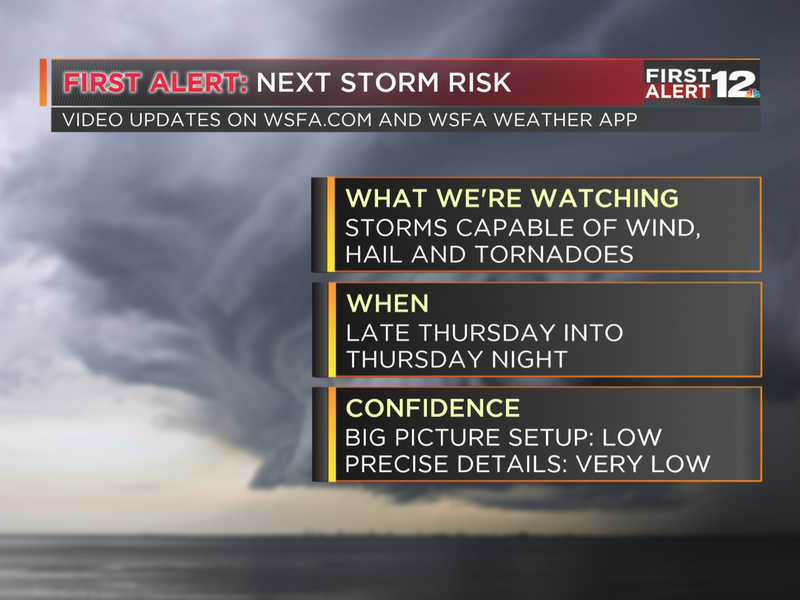 First Alert: Windy Wednesday, storms late Thursday? 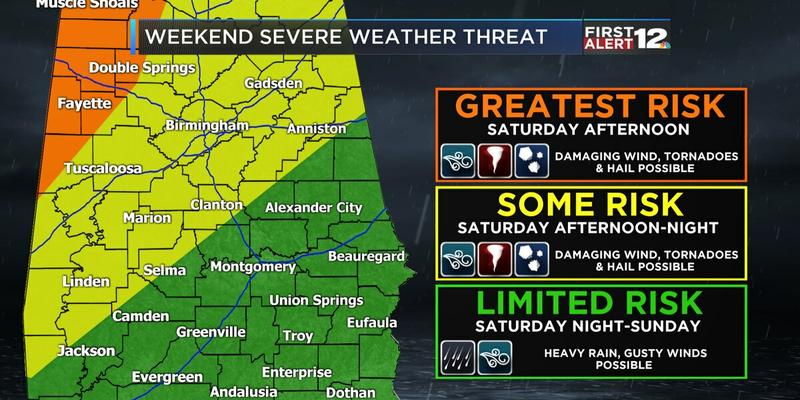 Want fewer tornado deaths in Alabama? 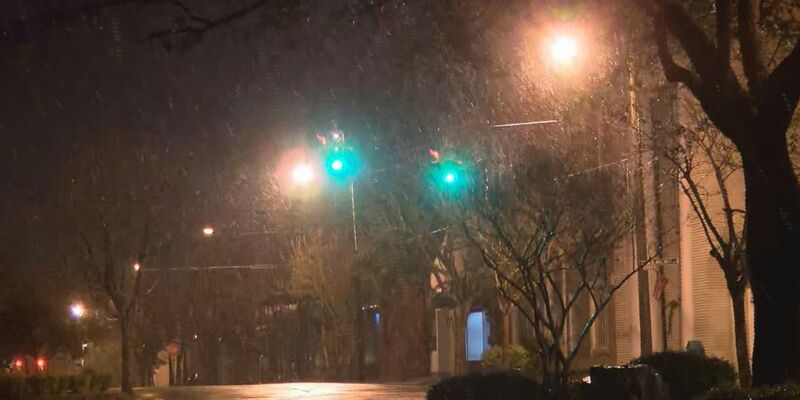 Here’s a start. 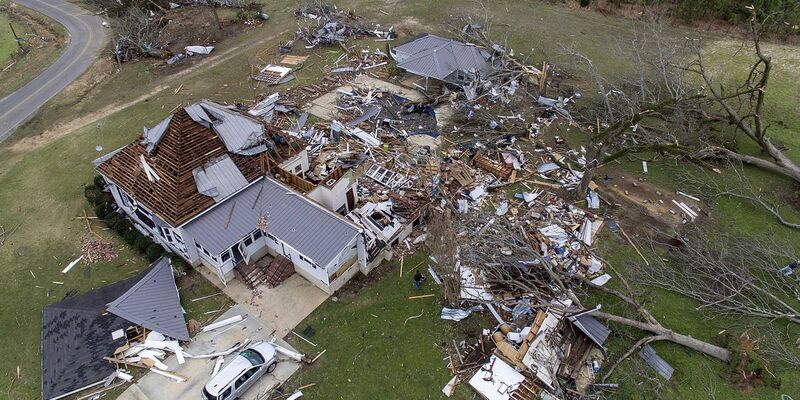 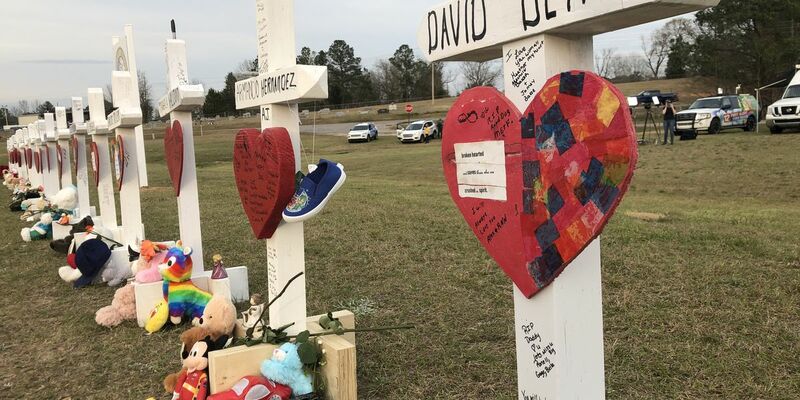 Reducing tornado deaths in Alabama won't be a quick fix. 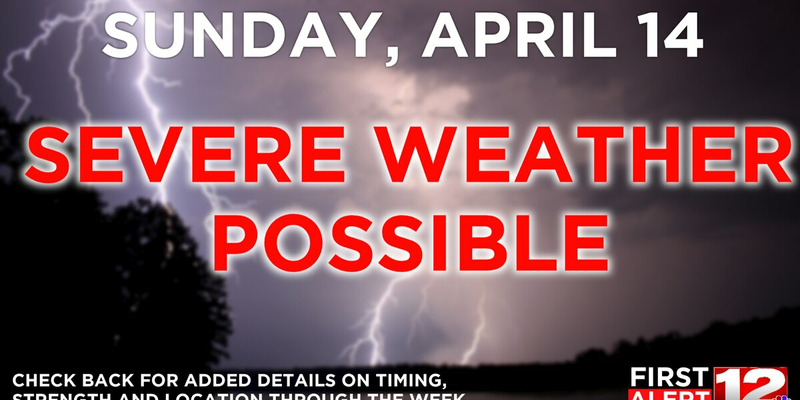 It will take money, effort, time and persistence. 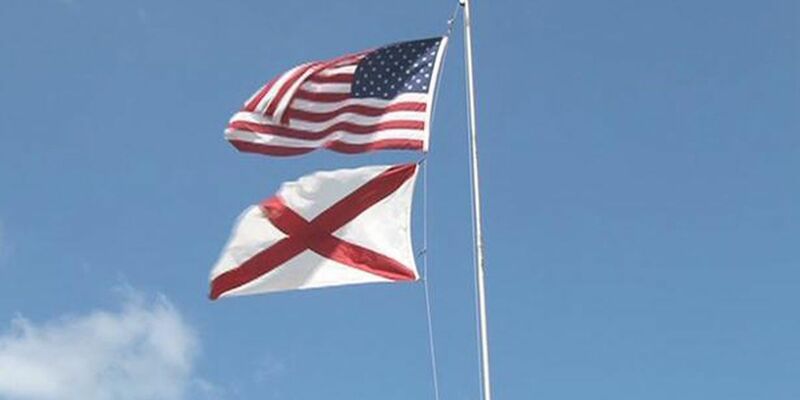 Here's a start. 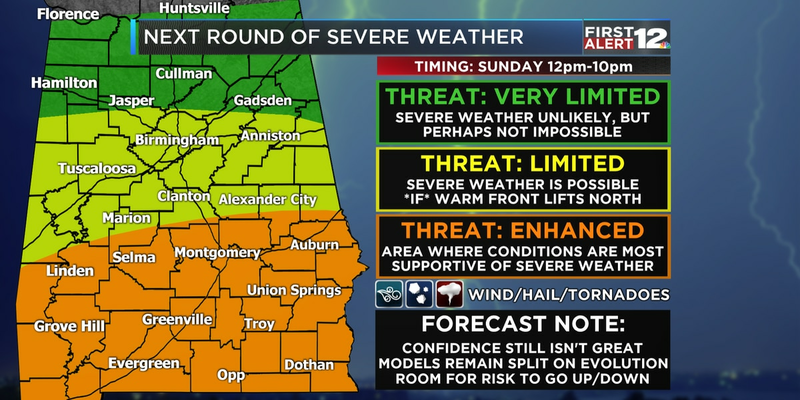 Detailed information on Sunday's catastrophic tornadoes in Alabama. 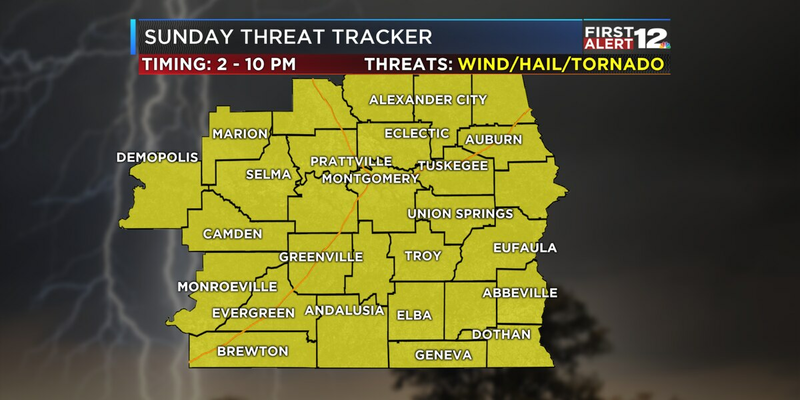 Remaining storms are capable of producing damaging wind gusts. 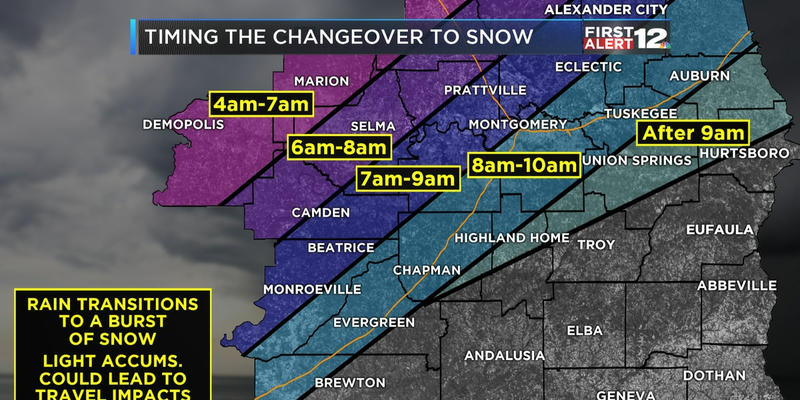 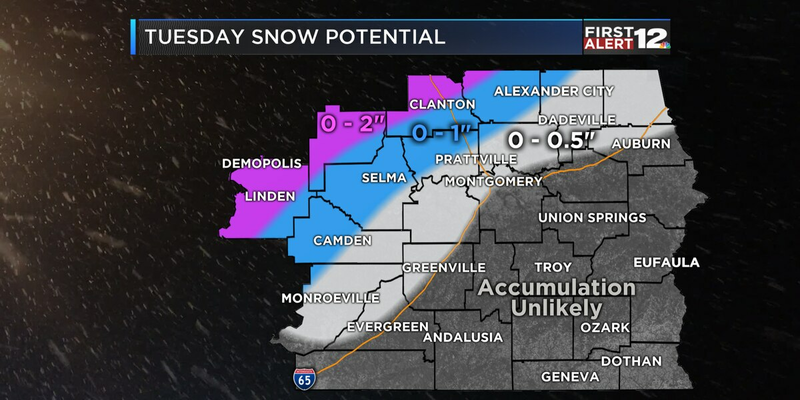 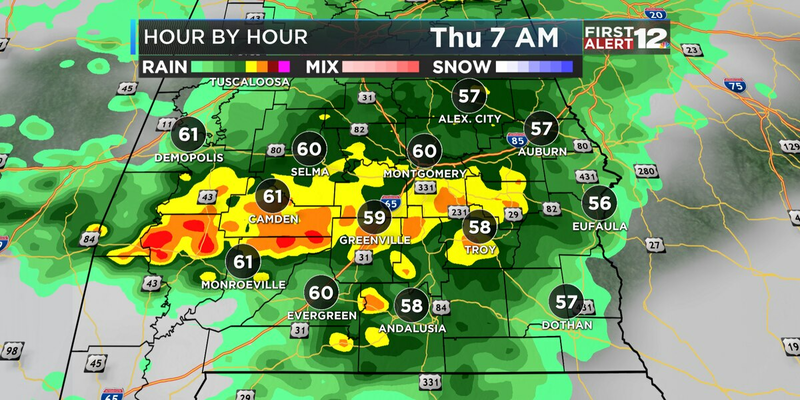 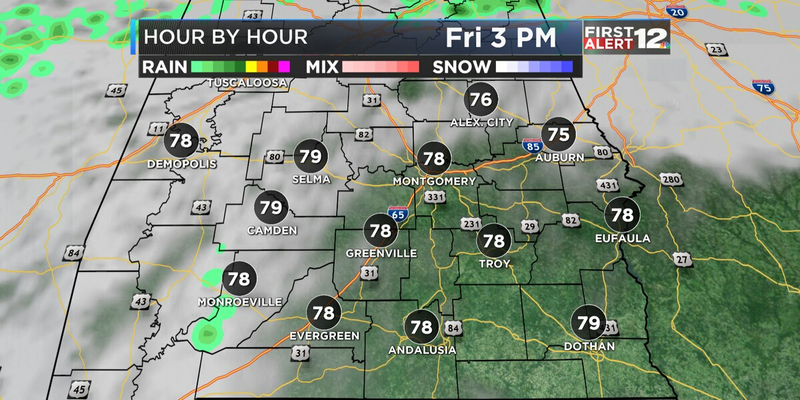 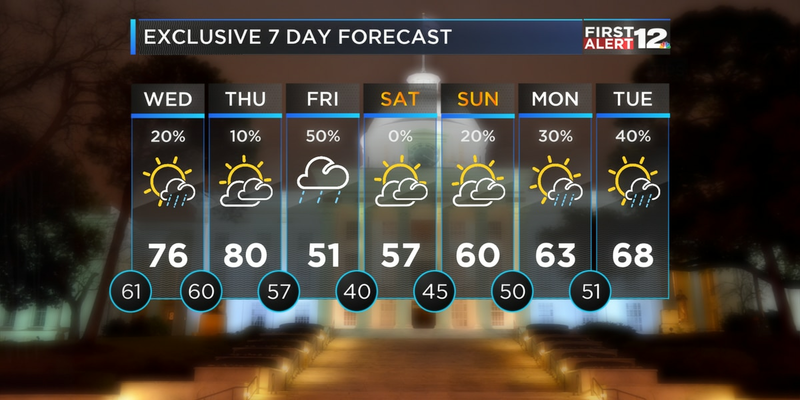 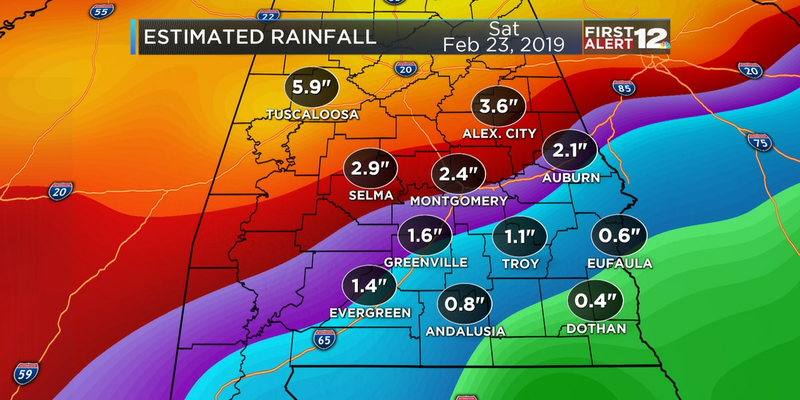 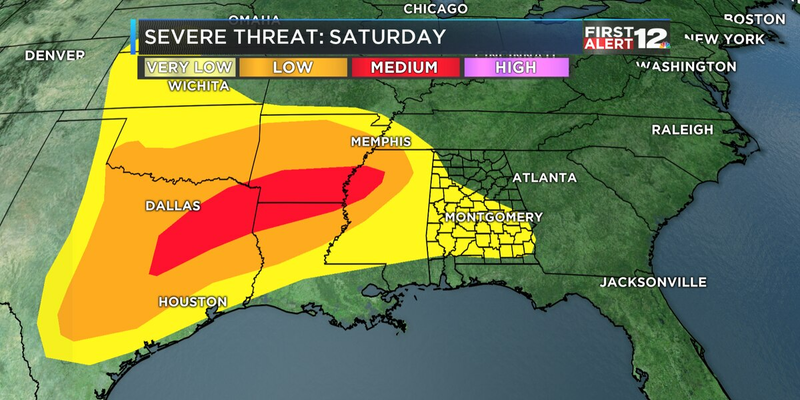 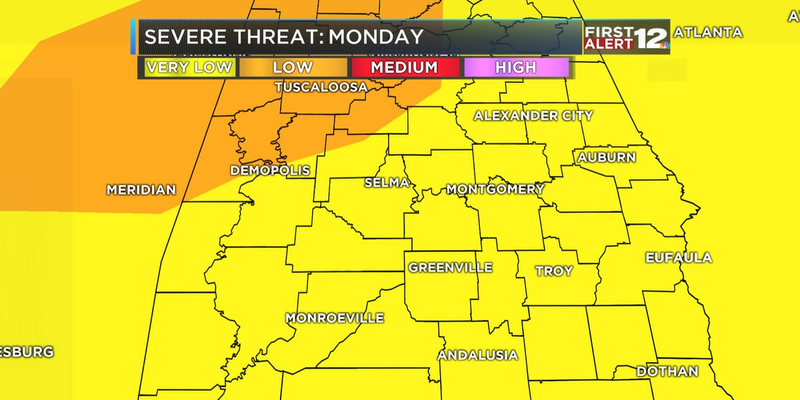 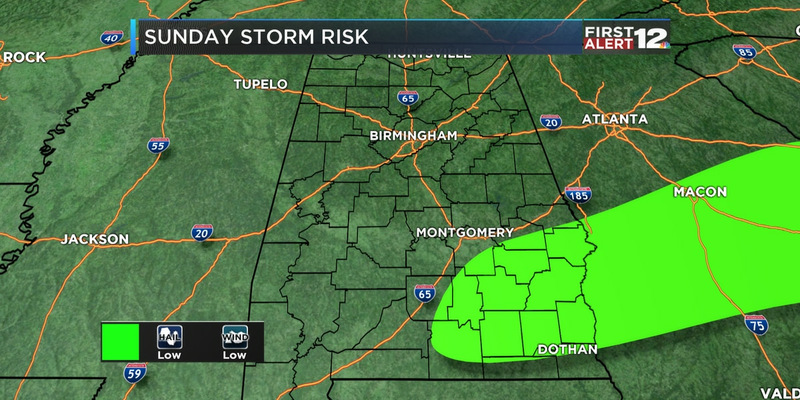 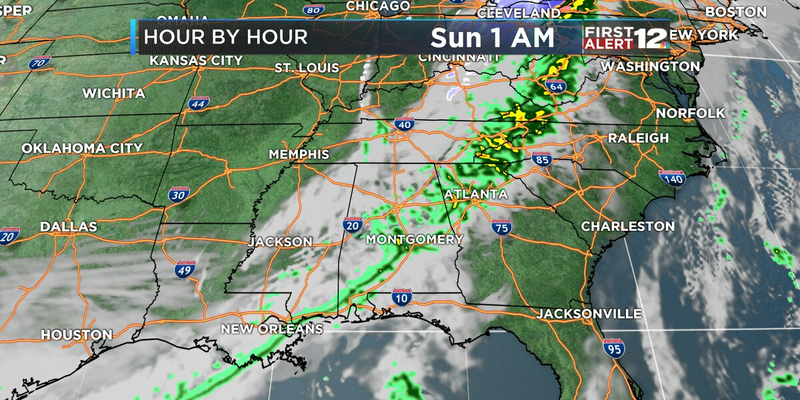 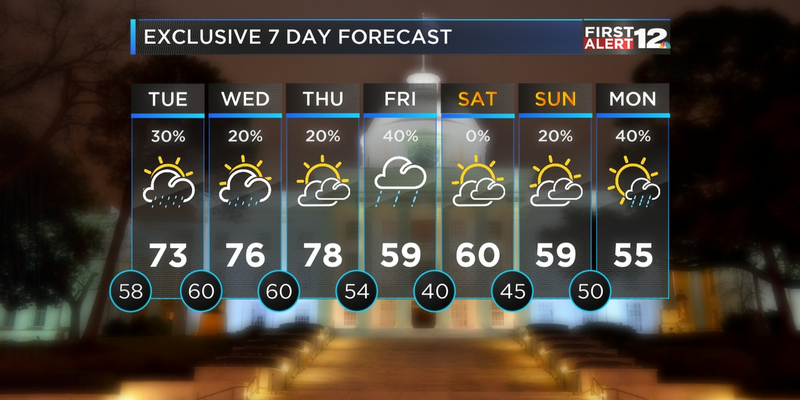 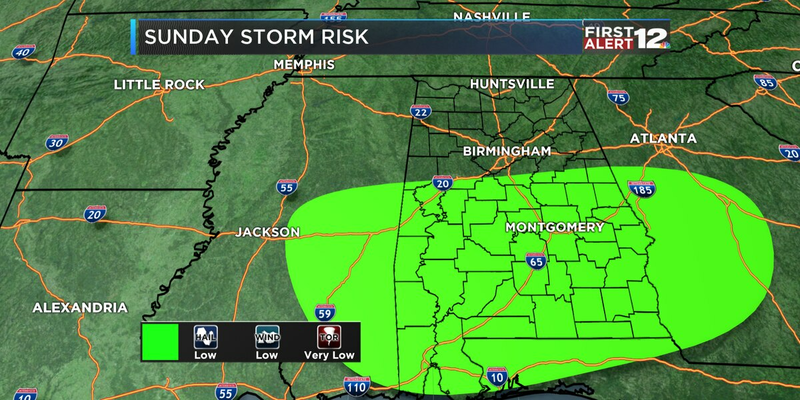 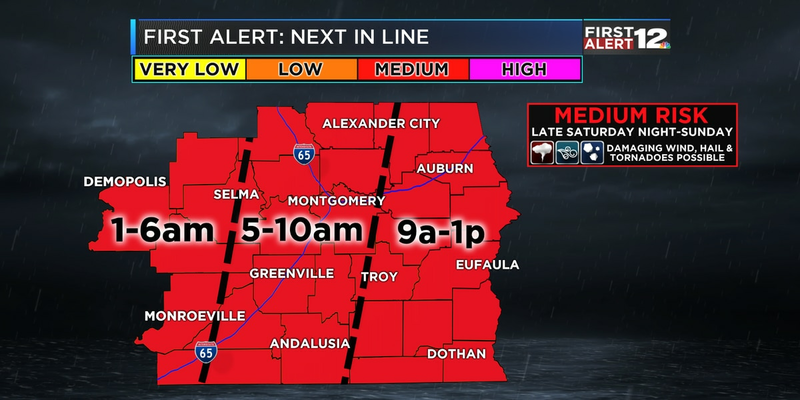 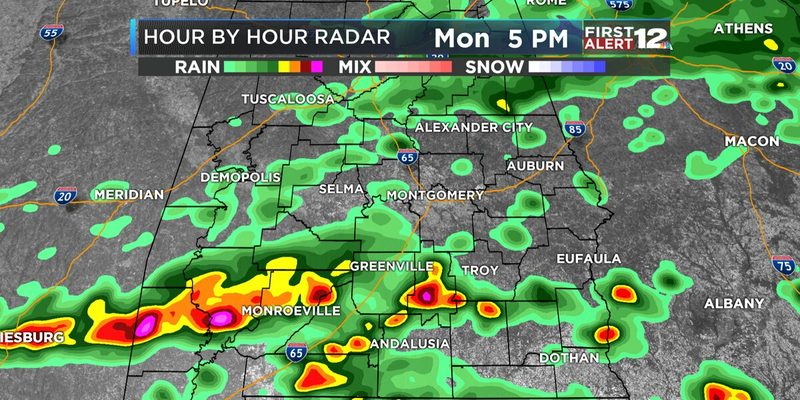 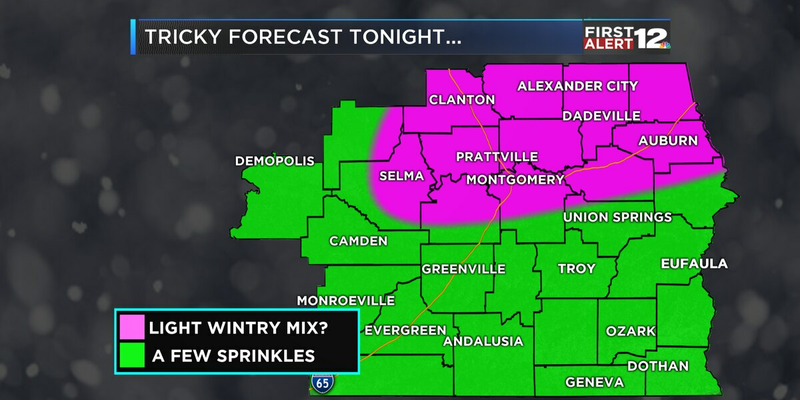 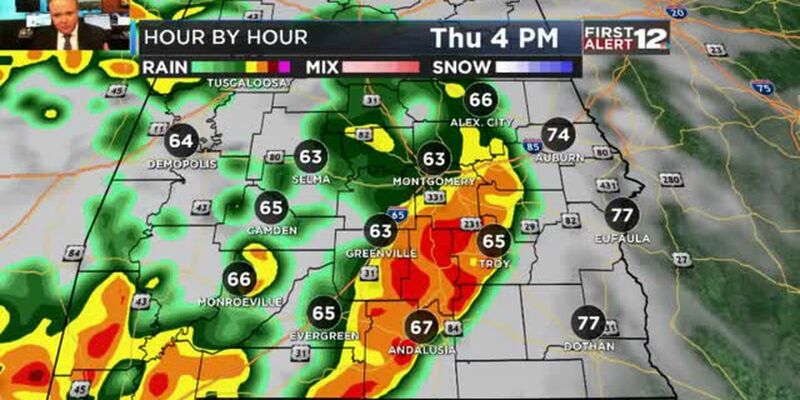 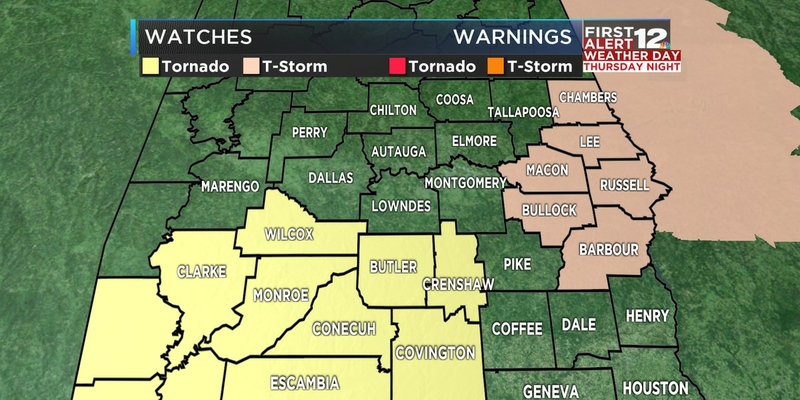 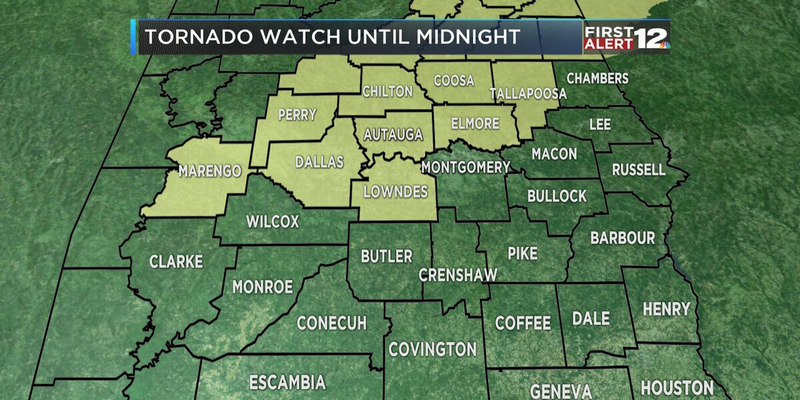 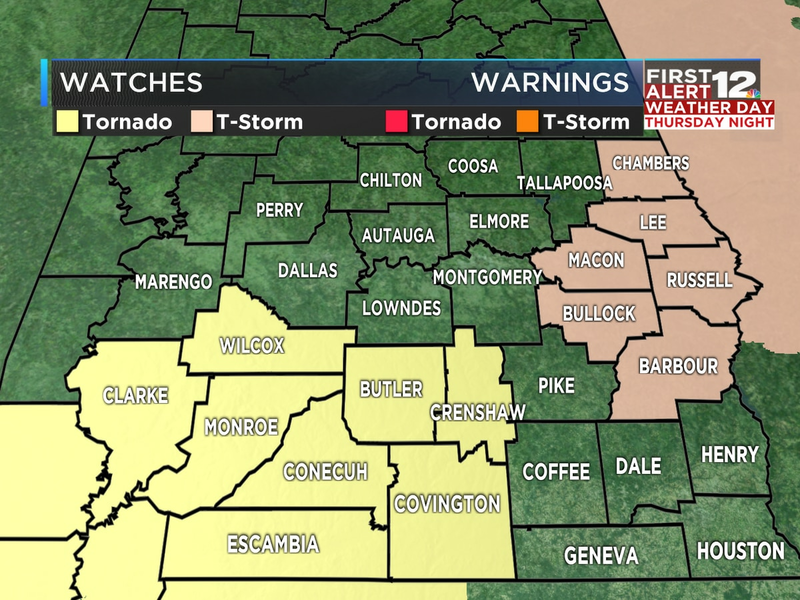 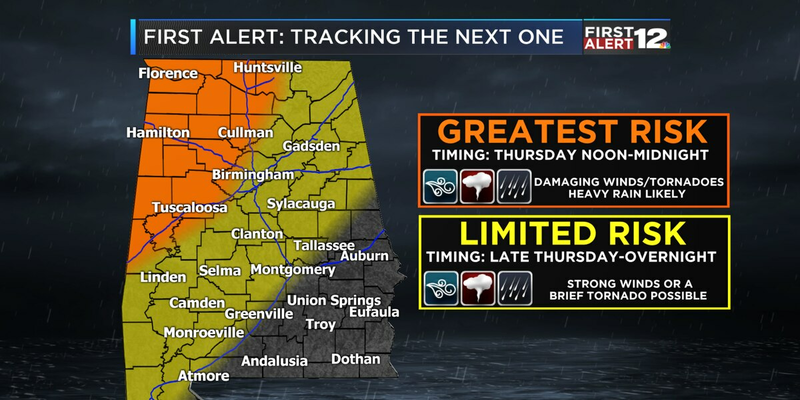 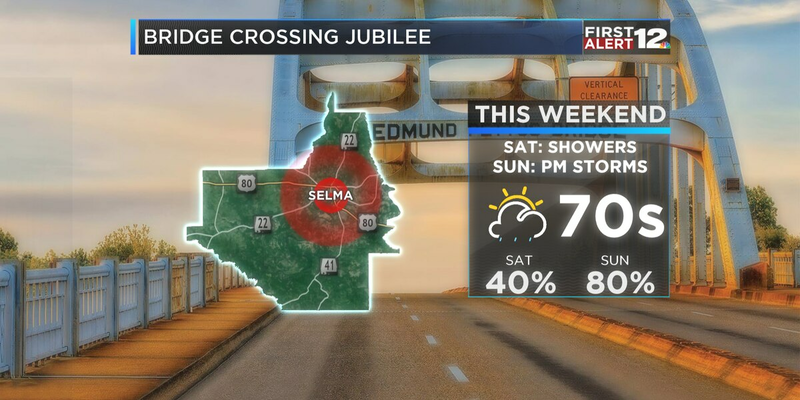 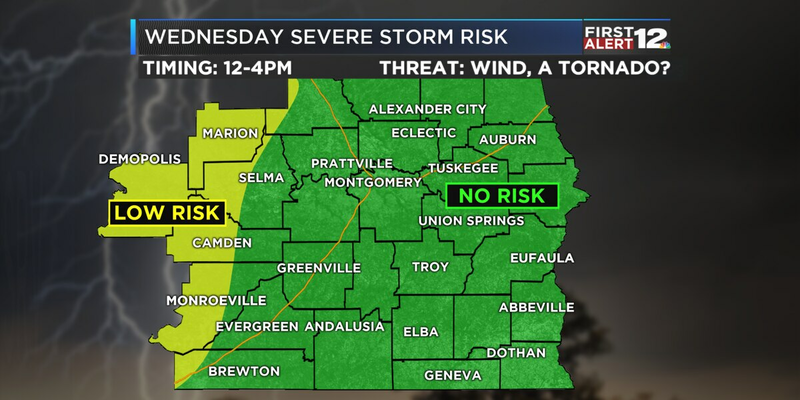 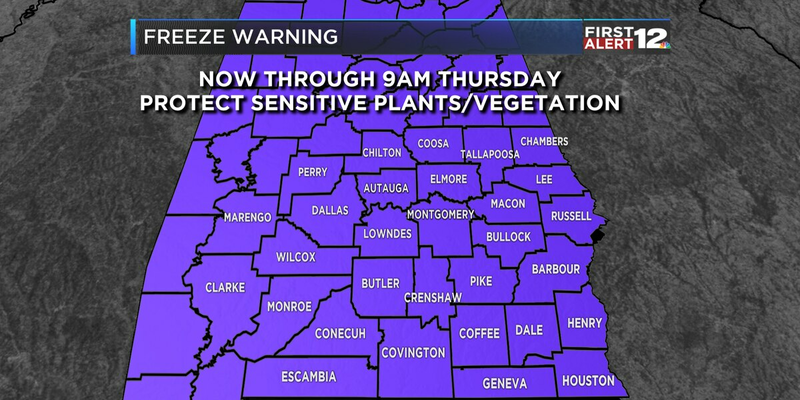 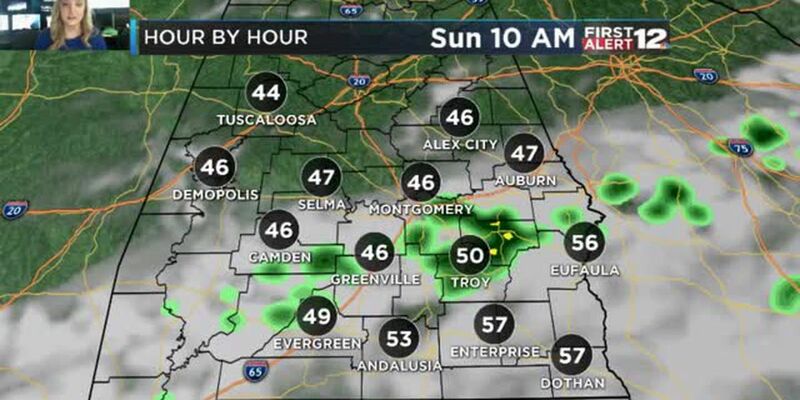 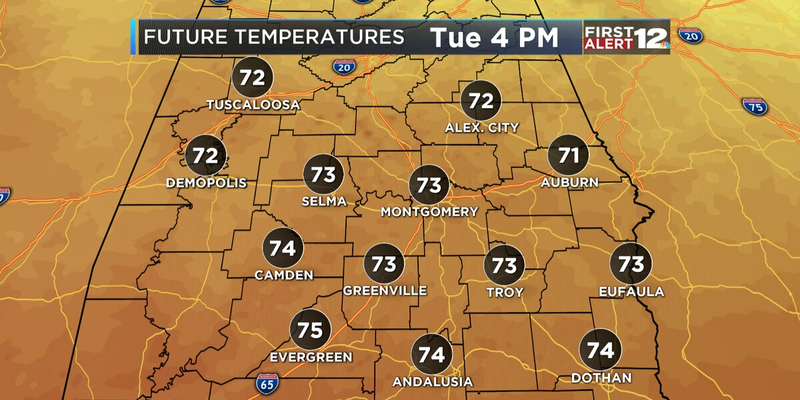 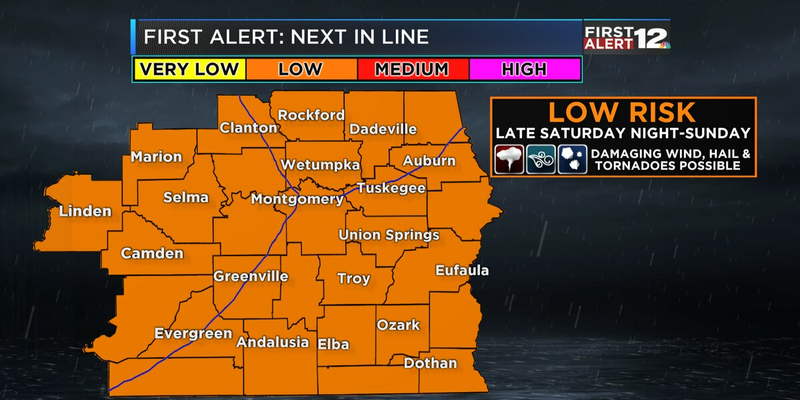 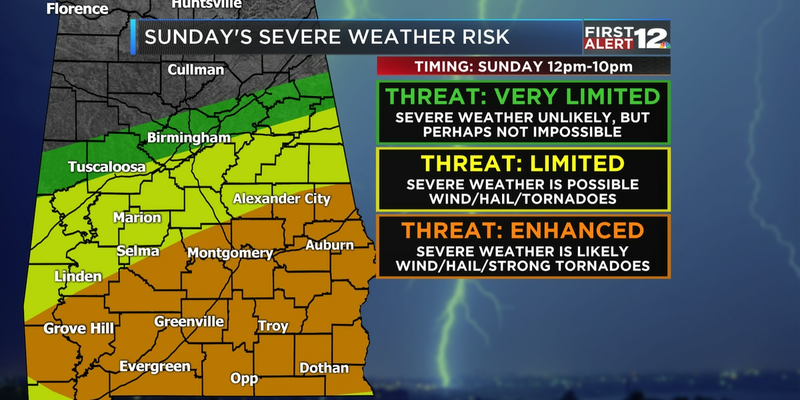 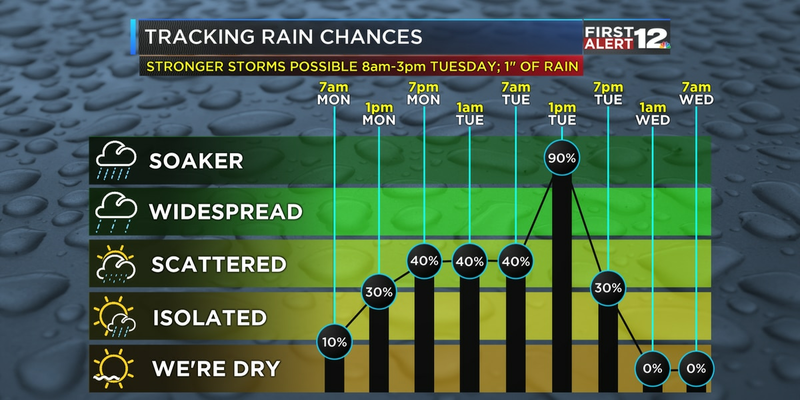 First Alert: Storms tomorrow in west Alabama? Monday afternoon will be a bit drier before widespread rain moves in Tuesday and lingers through the rest of the workweek. 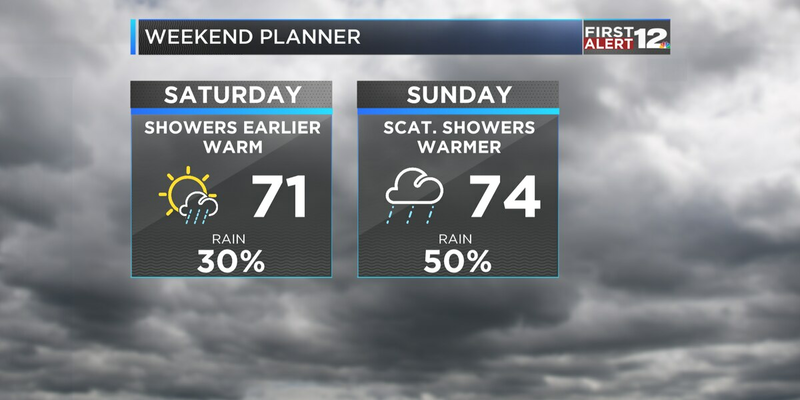 Scattered showers will fall over the next two days, but rain becomes more widespread by the workweek. 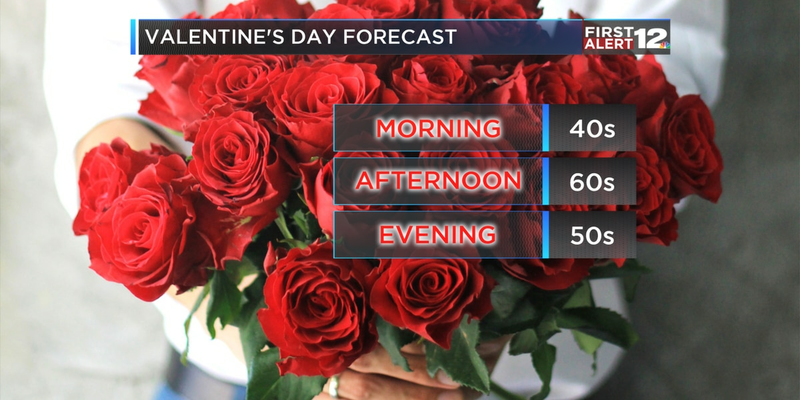 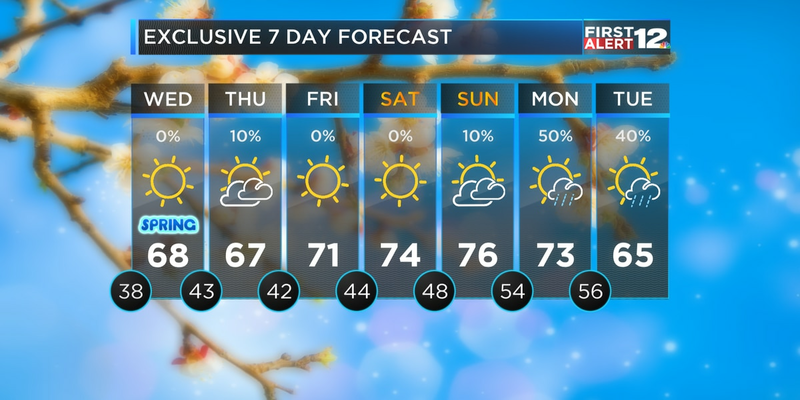 First Alert: Valentine’s day forecast is looking LOVE-ly! Temperatures remain well above average, but for how long? 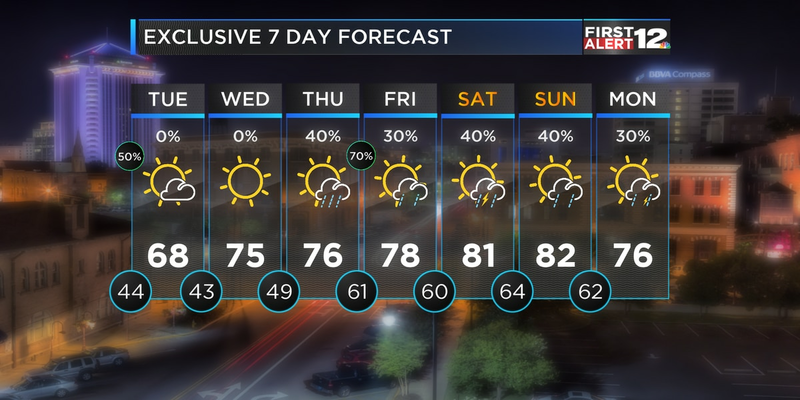 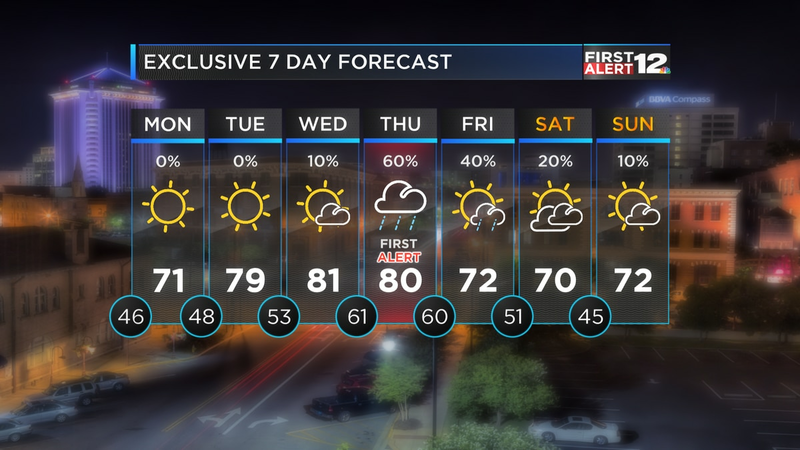 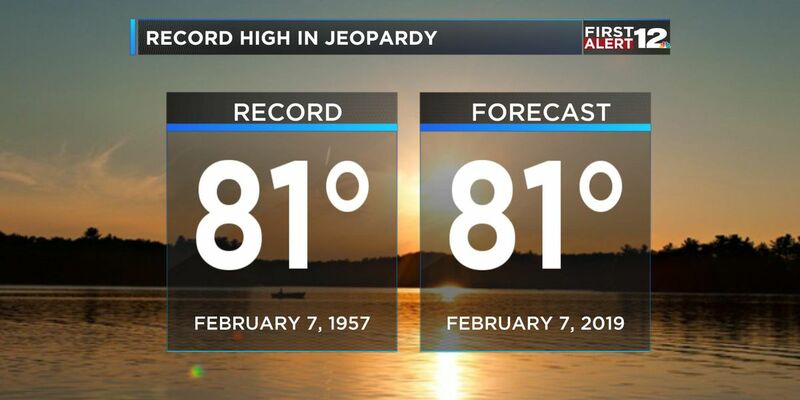 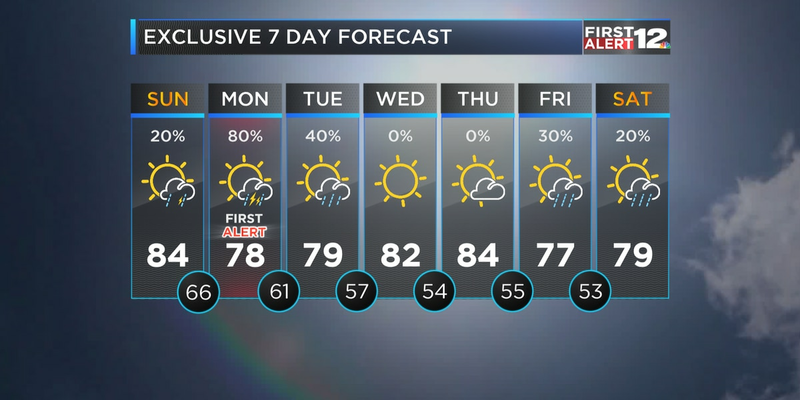 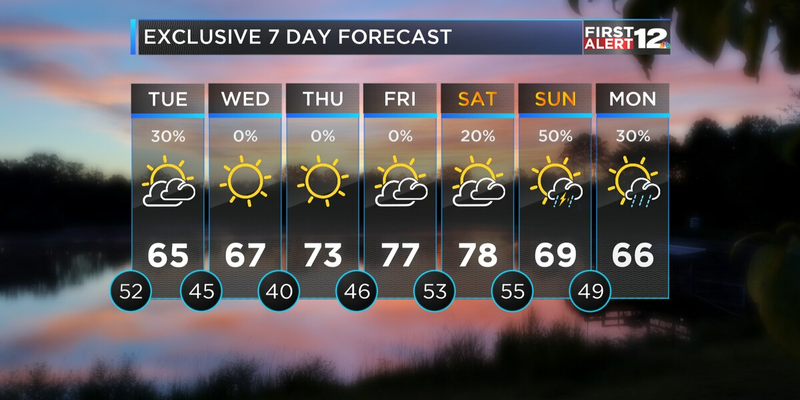 First Alert: Warm week in progress! 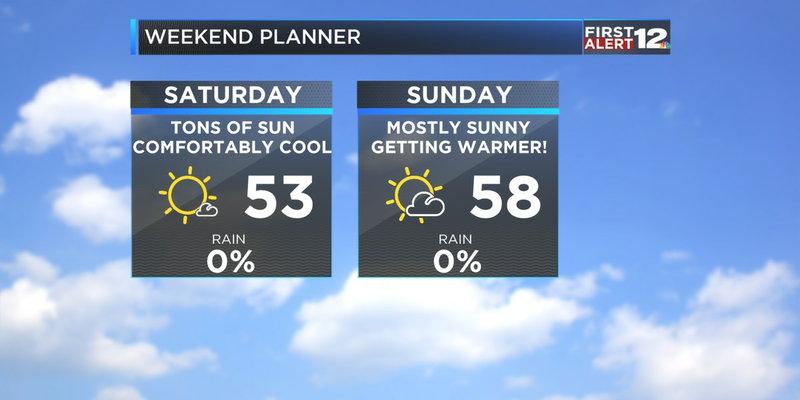 Another comfortable day is in store for Super Bowl Sunday! 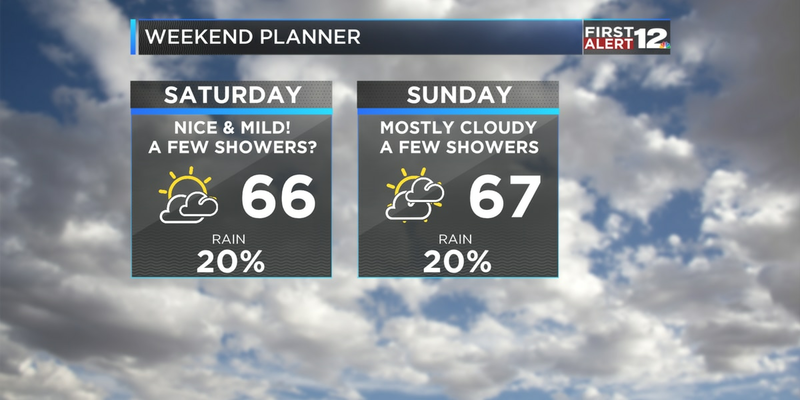 Highs are in the middle 60s this weekend with a few showers possible. 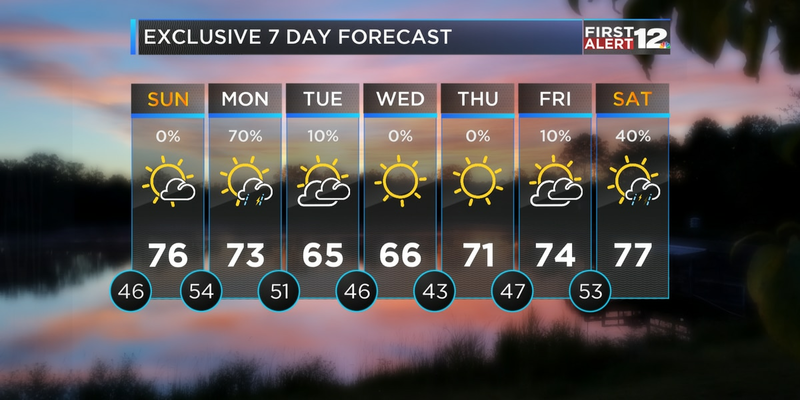 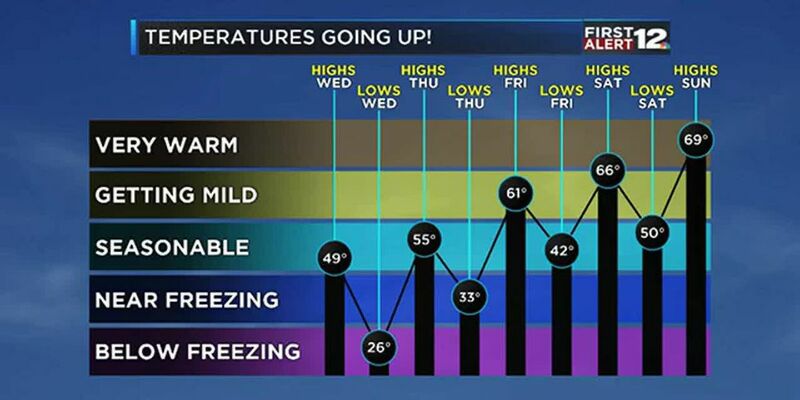 First Alert: Weekend warming trend! 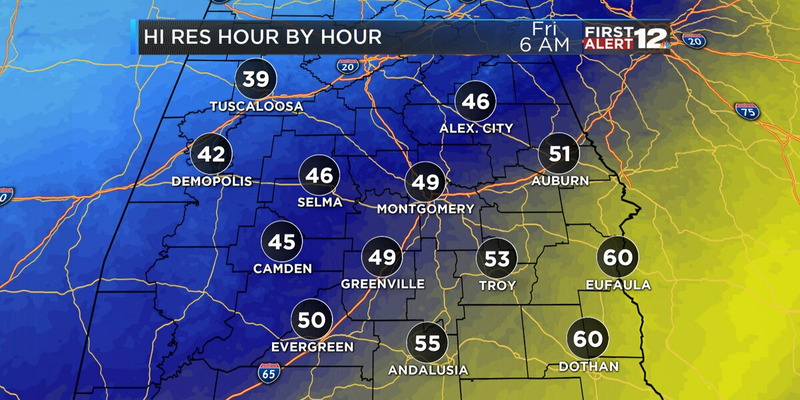 While Tuesday’s morning low was chilly (23° in Montgomery) it’s nowhere near as cold as the lowest temperature ever recorded here! First Alert: Rain, snow are gone and we’re left with sunshine! 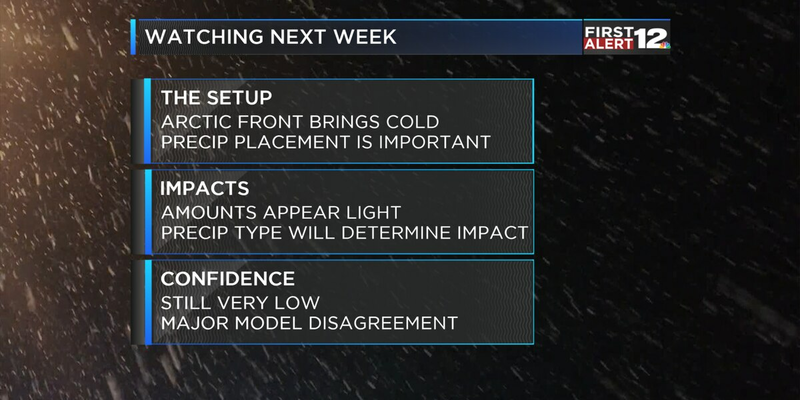 Light accumulation is possible for parts of our area... check out the detailed discussion on Tuesday's potential wintry forecast. 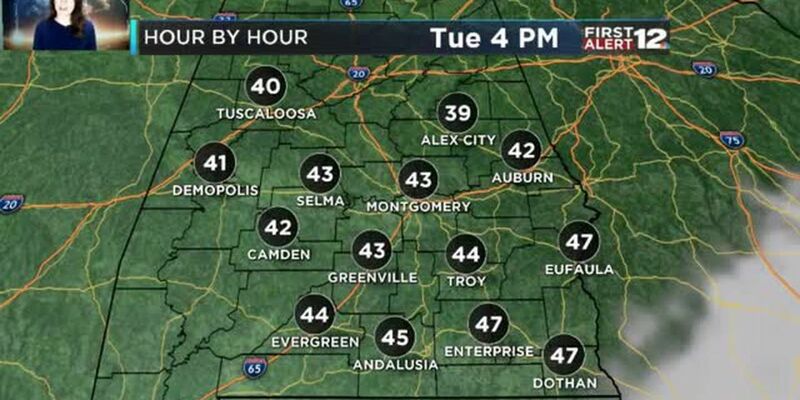 Temperatures settle near freezing again tonight. First Alert: Cold and dry...for now!